Its vast and unusual octagonal nave was designed in 1872 to maximise the acoustics of prayer, but helps Obel along quite nicely too. By the time I arrive, the pews are packed and the Chapel is alive. Montreal-born musician Erin Lang sets the mood. Her sentimental lyrics and sweet, high voice sit well over the electric guitar and hark to the likes of Gregory and the Hawk and fellow Canadian, The Acorn. After a short break, Obel takes her seat at the piano. She does not open with words but with ‘Lourette’, a haunting instrumental from ‘Philharmonics’, her bestselling debut. This tour follows her much anticipated new album, ‘Aventine’, but she does not neglect the songs that made her a hit. The opening lyrics of the next track linger and echo upwards: ‘Guess who died, last night…’ She gently rocks her audience through the ticking and tinkering of her easy lullaby. Mika Posen on violin and cellist Anne Müller provide a strong base as the strings cut cleanly across dreamy melodies. Folk’s steady, stomping foot is mimicked by several instruments throughout the set, maintaining the continuity which gives her sound a surreal quality. Tracks such as ‘The Curse’ and ‘Fuel to the Fire’ don’t seem to have a beginning or an end. Suddenly the dreamy spell is broken as Obel pauses to plea for a scarf. Apparently she has forgotten hers and needs it for the next song. A woman in the third row is very obliging and Obel takes the scarf gratefully. Puzzled laughter follows as she methodically tucks the fabric around the piano keys. Left without explanation, she silences the crowd once more with the title track from ‘Aventine’. The street lights have come on outside, illuminating the large stained glass window above Obel’s head. She rightly praises the Chapel as ‘one of the greatest places to play in the entire world.’ For Obel anyway – short of some eerie, Germanic forest – I couldn’t agree more. Agnes Obel continues her tour around the UK next April with venues confirmed in Manchester, Bristol and London. Her new album, ‘Aventine’, is out now. 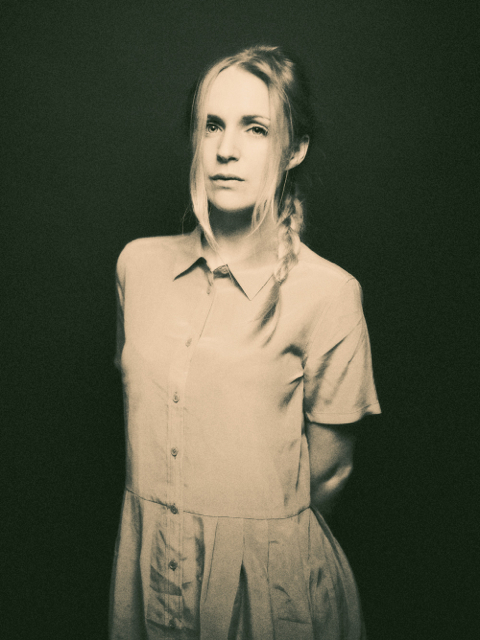 You can find Agnes Obel on Facebook, Twitter or her website.